A loan of $175 helped a member to buy a water filter to provide safe drinking water for their family. 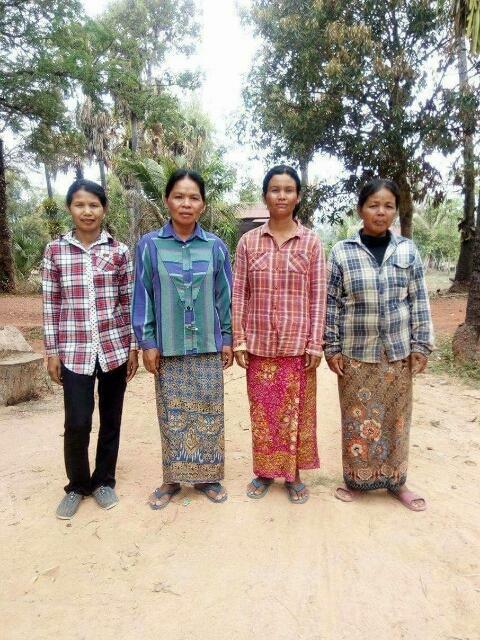 Sreyhach’s Group lives in a rural village in Siem Reap Province in Cambodia. Sreyhach makes a living cultivating rice and she does extra works as a farmer to support her family. In her village there is no reliable access to safe, clean drinking water. Having a water filter at home will help Sreyhach safeguard the health of her family, save money on medical expenses and save time collecting fuel and boiling water. It provides low-income households with access to clean drinking water. This loan product will enable households to buy a ceramic water filter that will ensure their health by providing sustained access to safe drinking water. It will also reduce the time and money they spend collecting fuel and/or boiling water to drink. Training is provided to households so that they are educated in safe hygiene practices and the importance of drinking safe water – particularly for young children who are most vulnerable to waterborne diseases. Please note this loan will be disbursed by iDE Cambodia's sister company - Hydrologic. iDE is an international non-profit organization with a unique market-based approach to poverty reduction. iDE helps to build profitable enterprises and value chains that deliver sustainable social and economic benefits to poor, rural households, enabling them to increase their income and improve their quality of life. Kiva’s partnership will enable iDE Cambodia to implement two of its loan products. One that focuses on increasing the incomes of smallholder farmers and one that provides clean drinking water to households. iDE hopes to provide low-income individuals living in rural poverty, with opportunities and a higher chance of success through Kiva. Kiva shares iDE’s goal of creating income and livelihood opportunities for poor rural households. About 90% of Cambodia’s poor live in rural areas, relying heavily on agriculture for their livelihoods. Unfortunately, the lack of irrigation and water control systems, poor seed quality, and poor access to market information has prevented many people from earning enough to support their families. In order to counter these challenges, iDE has developed the FBA loan product and the Hydrologic loan product. Kiva’s capital is catalytic in supporting the organization to develop sustainable businesses and providing access to clean water for rural communities.